The investor must invest $1,000,000, or at least $500,000 in a targeted employment area (high unemployment or rural area). 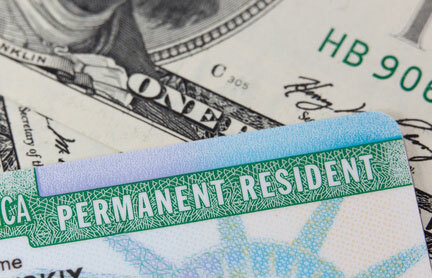 In return, USCIS may grant conditional permanent residence to the individual. The Immigrant Investor Pilot Program (“Pilot Program”) was created by Section 610 of Public Law 102-395 (October 6, 1992), and was recently extended through September 30, 2012. A Regional Center is not merely a defined geographic area but rather is a business entity that coordinates foreign investment within that area in compliance with the EB-5 statutory, regulatory and precedent decision framework. There are currently several Regional Centers active all across the U.S. and engaged in different industries. Sprechen Sie uns an bei Visa-Fragen rund um Geschäfts-Visa. Wir beantworten Ihre Fragen per email. Sie können auch telefonisch mit einem deutschsprachigen, erfahrenen U.S. Anwalt sprechen.